Many teachers have tried teaching using small groups. However, they think that math groups are too complicated and tend of quit before Thanksgiving comes around. Their math groups may not have been successful, because they really weren’t teaching guided math. Guided math is more than just putting up a cute rotations board and grouping students. Read about 5 reasons why math groups aren’t successful and how you can avoid these mistakes. The resources you have been using to teach whole group will not work for small groups. Why? Math textbooks are jam packed with problems. If you attempt to complete one lesson during small groups, you will find that you quickly run out of time. You will then feel like you are falling behind on your curriculum map. Soon, you may decide to stop small groups because you feel there is no way you can cover everything come testing time. You don’t have to throw away your textbook (or stuff it in a cubby). The answer is quality over quantity. Don’t be afraid to spend 15/20 minutes on two problems. Usually, the textbook gives an introductory word problem. We complete this one together. I then have students complete the second word problem on their own. Next thing I know, it’s time to switch groups. It’s okay. Your students are completing quality questions that require them to think deeply and explain their thinking. This is more important than working out 20 problems. I have found that most students who struggle in math are afraid to make mistakes. These are the students that tell me…. “I don’t know what to do. I don’t understand the problem. What am I supposed to do?”. They want me to walk them through the entire problem. They want to learn “the steps”, so they can copy the steps and get the problems right. I tell my students that I can’t help them unless they get the problem wrong. How will I know how to help them if I don’t know where they are struggling? They eventually begin to feel comfortable with making mistakes and learning from them. The first step is to stop giving them the answers. If they say they are confused, they still need to attempt the problem. This takes time. You need to work from the first day of school to create an environment where students are comfortable taking risks. Your classroom needs to be a place where students know mistakes are a sign of learning. They need to feel comfortable talking with each other about their confusion and celebrating each other’s success. There are several reasons why teachers may not use manipulatives. Some may think there is no point in using them since students can’t use them during tests. Some may think they are a waste of time and cause more problems than help. You don’t have to use manipulatives with the entire class at the same time. You can use manipulatives during small groups. Using manipulatives during small groups will ensure that students learn how to properly use them. You can quickly see which students understand the concept and don’t need to use them any longer. This is one of the biggest concerns for teachers. What will the other students be doing? What if they need help? What if they finish too quickly? Many teachers find that they are spending too much time helping the students that are at math centers. When this happens, they feel like they are wasting time and think whole group instruction is a better way to stay on top of their curriculum map. 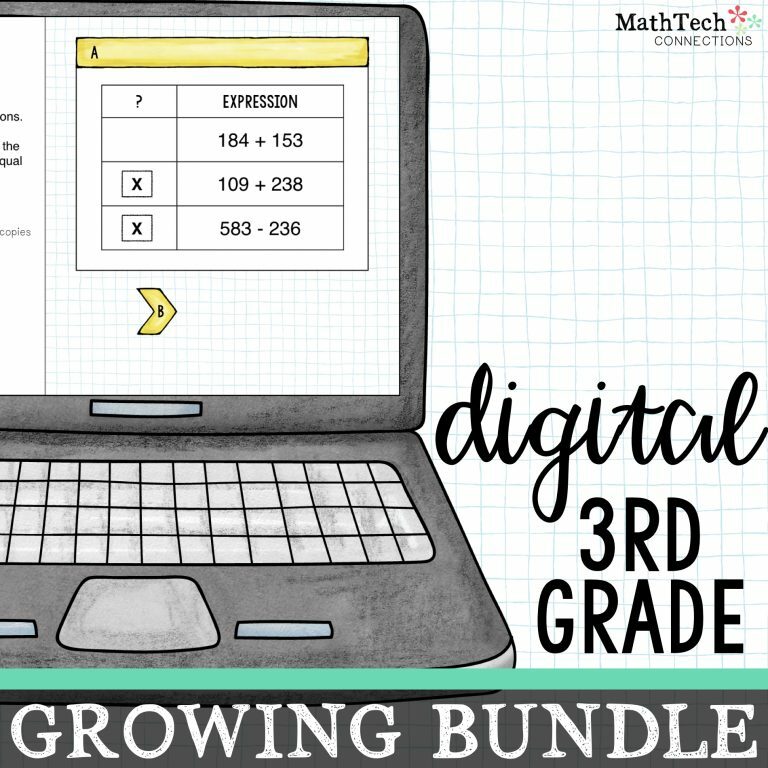 You don’t need to spend countless hours laminating math games for independent centers. What you need is simple, easy to follow math centers. Centers that are focused on the standards, so you can easily pick skills that you have already taught. I have used math sorts for the past 2 years, and they are by far THE best math centers I have used in my 10 years of teaching. They cover all common core math standards, so I can easily pick one that covers a standard we have already learned. They are easily differentiated, and encourage students to use math talk in order to discuss how they organized their cards. Click here to view 2nd Grade, 3rd Grade, 4th Grade, and 5th Grade math sorts. Please don’t think math centers will be the magic answer. They are not perfect and are never the same. This is why I think pre-made rotations boards are sometimes a waste of time. They make you feel like math workshop will be this perfect thing that you complete each and every day. They don’t leave room for the reality of what is teaching. Teaching is not perfect and you need to be flexible. Sometimes you will complete one station and then you have a fire drill. Sometimes you start one station and you realize that these students need more than 15 minutes, so you spend 30 minutes. Sometimes you need to give students those beginning of the year assessments, so you don’t have time for math stations one week. Sometimes you realize that it’s just not working out, so you need to stop and gather everyone together and have a discussion. All of that is okay. You just adjust the next day. You need to know that guided math is not perfect. It is not easy. It takes time. You need to model expectations, students need to practice, and you need to practice. It does gets better with time. The best part? You will be reaching each and every student. You will be right there understanding exactly what students are weak in. You will know exactly when your students ‘get it’ and need enrichment. You will be giving quality instruction instead of just teaching students the steps. 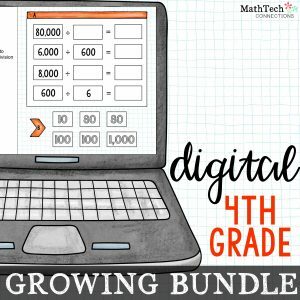 Students will enjoy math and you will be so proud of how much they grow. I enjoyed reading this blog post as I’m getting ready to teach math with a workshop approach this year. I have been teaching for 25 years, mostly reading, and have only been teaching math in grade 3 for the past three years. The idea of math workshop is both daunting and exciting at the same time. Thank you for your helpful pointers. I will certainly be keeping them in mind as I embark on this endeavor in my teaching journey. I think these reasons are so true. Thanks for the helpful solutions. Also,. I believe strongly in flexibility in the classroom always. This is perfect! After reading your blog on how to start Guided Math Groups last year, I will never be the same math teacher again! I teach 3rd grade and this was my 11th year. Your layout was so easy to follow and your products are priceless! I went from teaching whole group for an hour every morning the first half of the school year to guided math groups in January. My students were so happy!! Every morning when I’d say, “ok, it’s time for math,” they would no longer groan, they would cheer! Music to a teacher’s ears! It gave me the ability to see exactly who was struggling with each skill. It made planning, teaching, and intervention time so much easier! I love teaching math now because I feel like I’m really making a difference! And I’ve noticed a correlation too- higher math scores equals higher reading scores! 😀 Your blogs are diamonds in the rough! Bless you for sharing your knowledge and expertise for free! And your products are reasonably priced! Thanks again for changing my math world! WOW – You don’t know how happy your comment makes me 🙂 Thank you so much for sharing your kind words! I know exactly how you feel. Believe it or not, but I used to dislike teaching math… teaching fractions was the worst. 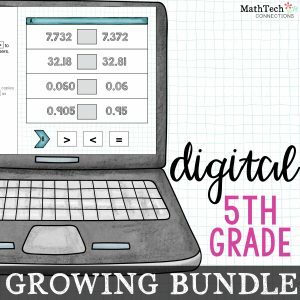 Guided math changed the way I teach math, and now I LOVE it!! Thank you! So helpful! Do you ever make math sorts for middle school grades? I would buy those for my classes in a flash! I would be interested in sixth grade if you had it. Hi, I am slowing getting there 🙂 Let’s hope by December I will have some sorts for 6th. I have purchased your products and implemented them in my classroom and you have been a LIFE SAVER! My students were so happy and excited to do math centers daily. Our End-of-Year scores were the highest in my grade level and I had an inclusion group with retainees. Also, my principal was so impressed to see the students so independent and engaged during center time while I was working with a group. This upcoming year will be even better. THANK YOU! You are SO welcome =) It makes me so happy to hear about your success!! You must be so proud of your hard work 🙂 Thank you so much for sharing your story with me. Thank you for your article. This was the first year I tried Math rotations/centers. I had a small class so I drummed up my courage. Many of your pitfalls I learned through trial and error so your article re-affirmed that I was on the right track. I had a lot of high math students so it was fun digging deeper and sharing how each one solved the problem differently. I didn’t do Math centers everyday, but 3-4 days a week. Students would come in each day and ask if we were doing centers today. I’m looking forward to using math centers again this year…now if I could just wrap my head around reading! Fantastic advice. I’ve been teaching with small groups two days a week for five years and I love it. But I’m moving across the country to teach in a school that has much larger class sizes and much fewer support staff. Your article reminded me of all the things I love about teaching in smaller groups and gave me the confidence to give this a try next year. I can’t wait to use your Math Sorts. Genius idea! I am first year teacher and want to incorporate a math workshop into the class so this is exactly the advice I was looking for. I will be teaching 7th grade math inclusion. My concern is with the enrichment kiddos that finish early. Do you use specific or additional sorts or practice for them? Wonderful sharing and ideas! I have taught for 30 plus years Jr high level! Went to Admisutration and am now returning to classroom! I have variations of all of these! Wonderful way to teach! I want to thank you from the bottom of my heart you have transformed me in so many ways. This is my third year working in the public school system. Last year, my principal walked in to observe me while I was working on rotations and using your Wonders trifolds for reading, she was blown away. On another occasion, she walked in on me while I was having math rotations. We are having a PD in-house and she asked me to present to the faculty my system and how it works for me. I am extremely nervous because I am a new teacher in the system and I’m not sure how that will go with the veteran teachers. I will never forget that you have inspired me to be a better teacher! THANK YOU! THANK YOU! BEST OF LUCK on your presentation – I know you will rock it! Please let me know if I can help you out in any way.